One of a hiker's chief complaints is knee issues that can spring up on the trail. 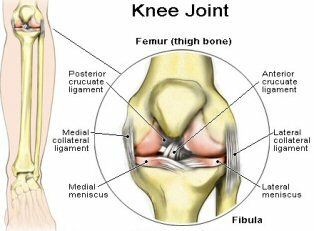 A knee is a rather intricate joint with many ligaments and tendons interspersed through it to make it work as a "hinge" joint. It carries quite a load, and combined with a backpack, on uneven or steep terrain, with long miles, the load on this joint can be incredible. The knee offers a variety of complaints, so much so that is can force a hiker off the trail. 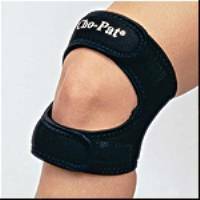 But there are tricks to keep the knee joint functioning if a hiker treats the joint with the respect it deserves. Before a backpacking trip, get into a regimen of strengthening this joint. Do knee bends with a pack on your back. Do stretches for your hamstrings and quads. Knee pain often results from these muscle groups that are too tight. Learn the stretch too for ITB (illiotibial band syndrome). Runners World give a nice article on good knee stretches for the athlete. supplements. A product I found that is working wonders on my knee is eggstraflex that contains eggshell membrane. I have used this in place of glucsomine with good results. By far the best remedy for inflammation is Tumeric (Circumin). Be sure it contains 95% curcuminoids and Piperine for better absorption. I take it twice a day. Use good hiking poles. They take the strain off knees, especially on downhills. Make sure you are wearing adequate footwear and insoles. It's best to get fitted by a professional shop that knows foot types. Watch your pack weight. An overweight pack can add more stress load to the knees. Try to cut down on any unnecessary weight. Watch your daily trail mileage. Forget keeping up with others. Take the hike at your pace, even if that means a 6 mile day. If other hikers run past you down the hill, let 'em. If you have done bicycling and switch to hiking, it will take time for your muscles to adapt. Give them that consideration. For pain, an ice pack can help as well as NSAIDS (non steroidal, anti inflammatories such as Aleve or Advil). I found the cho pat duo knee brace works well. But I try hard to limit its use. Once your knee adapts to it, it's hard to go without it. Prevention is best. If you find after a hike your knee is quite swollen, or you have crippling pain or the pain persists, be sure to get checked out by a sports MD. There may be other issues involved, such as strained or sprained ligaments or even Lyme Disease (which can affect joint health).